Kick it in a luxe classic. Combine the stylish, timeless design of a loafer with the durable construction of thick and genuine moosehide and you get these incredible moccasins. Soft and supple moosehide provides a super comfortable feel. A lightweight rubber sole gives these men’s moccasins just enough flex. 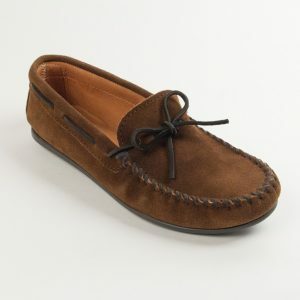 Perfect with khakis for the office or shorts or jeans for a more casual look, these versatile moccasins will be a go-to favorite for a long time to come. 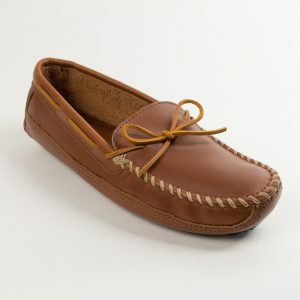 If you liked the Minnetonka Moosehide Classic, you should check out other men’s moccasins, here!